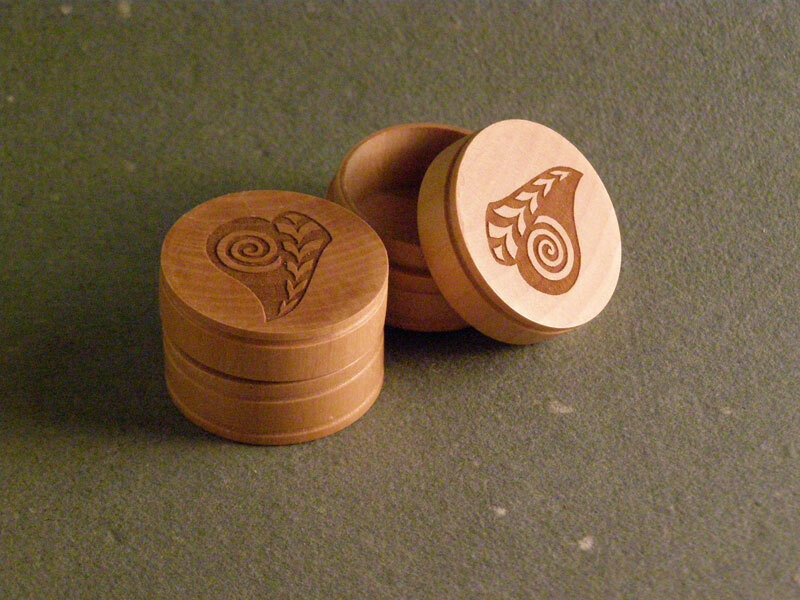 This adorable little box is wood-turned from a solid block of birch. 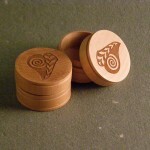 Measuring 1 1/4” in diameter and 1” tall, it fits nicely in pockets, purse or glove box. Our trademark Leaf Symbol is laser etched deeply into the snug-fitting lid. Just a gentle twist releases the lid. A handy reminder, it is the perfect gift for someone wanting to stay focused on hope throughout the day.